Transaction numbers have fallen in 241 of 374 local authority areas in the last year, according to analysis. The Land Registry data - which is two months in arrears - has shown that, among the 374 Council patches in the UK, only 133 saw an increase in homes sold in 2017. Cambridge, Newcastle-under-Lyme and Stevenage saw the worst falls (Stevenage by as much as 27.5%). As many as 122 areas saw transactions fall by more than 5%, while 41 witnessed a drop by more than 10% and a further 11 areas by more than 15%. 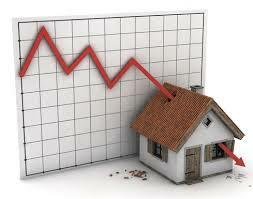 Greater London also suffered - Croydon and Tower Hamlets transaction levels fell by 15.4% and 22.5&, respectively. The best performing towns outside London were largely situation in the Midlands or the north of England, notably Chorley (increasing by 17%), Hull (13.9%) and Lincoln (12.3%). The survey used for the analysis - featuring only preliminary Land Registry figures for 2017 - was for Project Etopia.